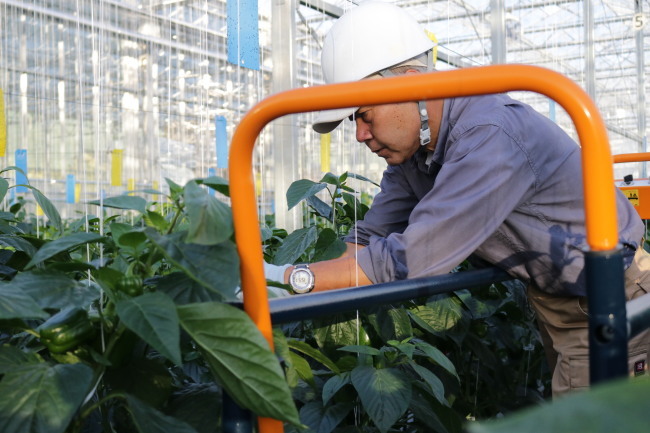 CHIBA, Japan -- To meet the pace of the aggressive growth of the indoor farming industry in China and the United States, both South Korea, and Japan should bet bigger on industry innovation, a Japanese expert said. Despite such efforts, Kozai expressed concerns over the soaring volume of investments in China and the United States. An example is the $1 billion investment in factory farms by Sanabio, a joint venture between the Chinese Academy of Sciences and Chinese optoelectronics giant Sanan Group. Countries such as Singapore, Vietnam, Mongolia, and Russia are also moving to establish and operate vertical green farms, Kozai said. The nonprofit organization, headed by Kozai, has sought automation of the facility by amassing a database while adopting hydroponics -- or soilless -- technologies.